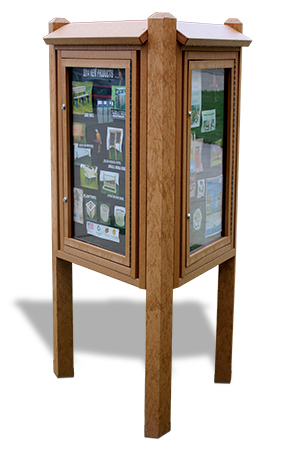 Park settings, schools, or city shopping centers will find this three sided kiosk to be a great outdoor option. Communication options are tripled with three enclosed centers, facing different directions. 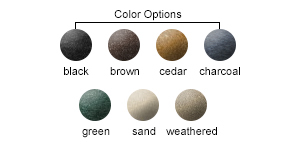 Windows are made of a polycarbonate material that is scratch and break resistant. Recycled rubber tackboard lined doors last longer than cork and are weatherproof and washable. Constructed of commercial quality, eco-friendly, maintenance-free recycled plastic and stainless steel hardware adding strength and durability for many years of use.